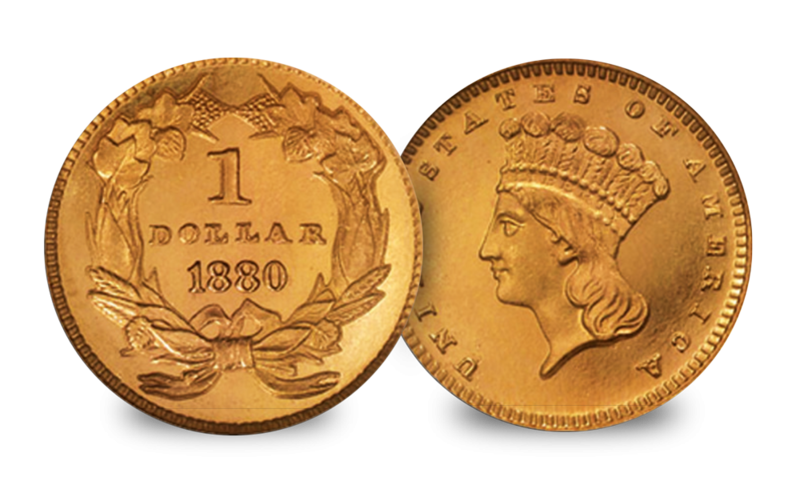 In 1849, due to the California Gold Rush, more denominations were allowed by the United States Government due to the vast amounts of gold. 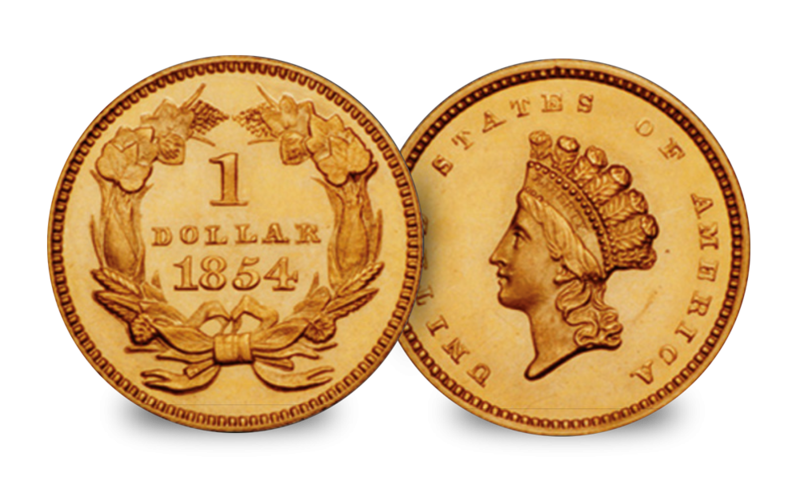 From this, the first gold $1 was struck in America. However, these small coins were quickly replaced by type 2, which was larger in size and a much higher relief to show America’s power growing, but this didn’t last as the machinery could not strike the coins in such a high relief, and just 2 years later Type 3 was released in a lower relief. 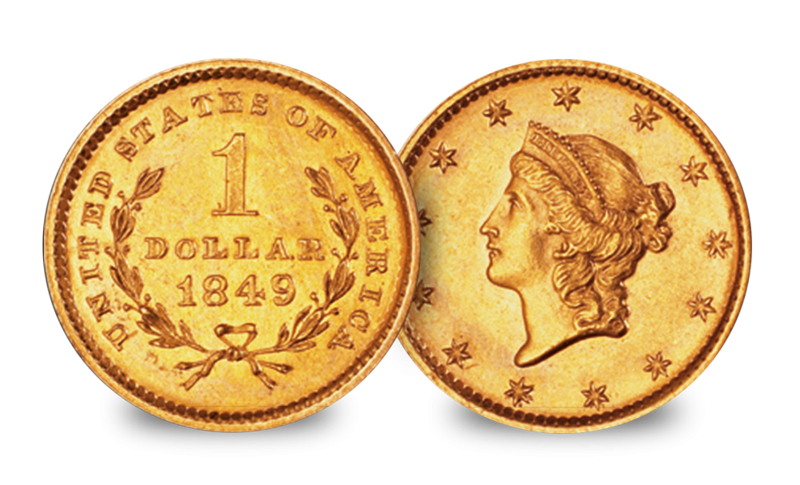 This set contains an example of all three coins, a complete history of gold $1.